Benjamin Tsai looks after the trading and product development of Genesis Holdings, the parent company of Wavemaker Genesis. Previously he spent over a decade in Asia in finance, creating business strategy, managing profitable distribution teams in Tokyo, Hong Kong, Singapore, Seoul, and serving as MD and CEO of Merrill Lynch Singapore Commodities. He also has experience on the buy side as the SVP and Head of Alternative Investments for AllianceBernstein Asia. 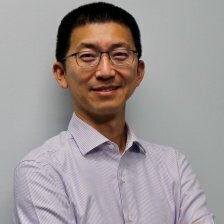 Benjamin is also the Co-Founder and CFO of the LA Blockchain Lab, which connects UCLA, USC, UC Irvine, Caltech, and the city government of Los Angeles. He has a BS in engineering from UC Berkeley and an MBA from the Anderson School at UCLA. He is fluent in Chinese and Japanese.